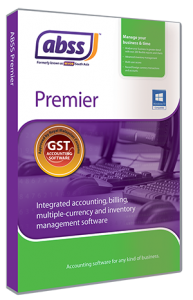 ABSS Accounting Malaysia ~ ABSS Accounting or ABSS Premier? Home » ABSS Accounting or ABSS Premier? 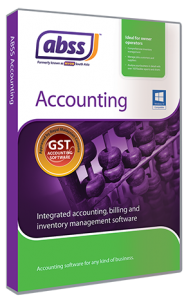 There are 2 accounting products to choose from, ABSS Accounting and ABSS Premier. Which one would be best suited for your requirements? Inventory, which keeps track of the movement of stock items if you are a trading company. 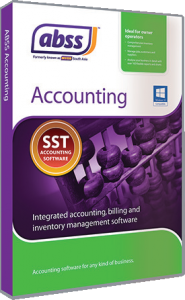 This essentially covers the accounting needs of almost all businesses. However, it’s not just about updating and maintaining your financial records. It’s also about streamlining processes for efficiency as well as additional features that would be helpful in achieving that. So, what should be taken into consideration when deciding? The very first consideration should be in deciding how many in your organisation will need to use ABSS. The first instinct is to say “Only one”, and that’s because it’s thought of in terms of just accounting. getting more achieved in less time. Consider for example, taking an order from a customer. Can anyone do it? If yes, then that process should be integrated into the system. If not, then you will need a separate system or a manual process of tracking orders, both of which makes your organisation less efficient and effective. 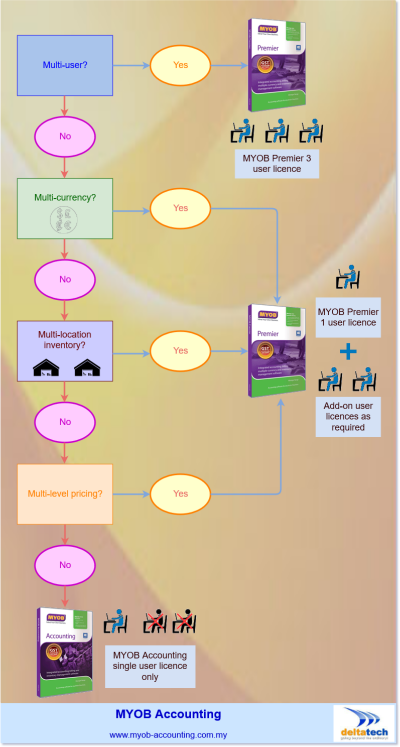 Does your business either buy, sell or do both in currencies other than the Ringgit? The same applies if you purchase goods or services from overseas suppliers. Keeping track of these manually would add to the administrative burden of managing your business. If you have inventory in multiple locations and need to know what is in stock at each location, multi-location inventory eases the task of managing it. You may, for instance, have a main store where all the stock items are received from suppliers and stored before it is sent to your shop in batches when required. This could be in the same or different physical locations. Inventory is perhaps one of the most valuable assets you have. Tracking and managing it goes a long way towards making your business profitable. Multiple pricing levels allow you to set selling prices based on a number of different criteria. You may have wholesale and retail customers, and set a different price for each. Retail customers would pay more, whereas wholesale customers buy at a discount. Pricing can also be set according to the quantity purchased. You can set these prices so that at time the sales invoice is issued, pricing does not have to be looked up manually because MYOB automatically fills in the unit price for you. 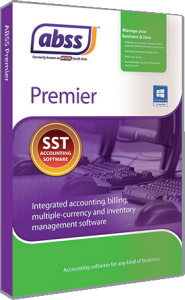 The above features are only available in ABSS Premier.